Inside The Wheelhouse: Is Hulk Hogan really the TNA answer? It’s been a couple days since the first “Monday Night War” in nearly 9 years. All wrestling fans were spoiled on Monday January 4th, 2010 as WWE Monday Night Raw and TNA Impact were going head to head, live, for the first time on Monday nights. For both shows it was a step in a different direction, with new storylines and new/re-debuts. Fans went into Monday night’s ready for anything to happen in both shows. Instead of breaking down both shows I wanted to directly look at TNA Impact. Besides Bret Hart showing up on RAW and returning to WWE (which was awesome to see), it was the same RAW we get nearly every Monday Night. I am not a fan of TNA wrestling, I have felt like in the past couple of years they have taken a product that was at one time promising and turning it into WCW 2.0 with storylines that didn’t make sense, too many wrestling stables and pushing old wrestlers while the younger wrestlers carried the load of the card. So I was going into the TNA show on Monday night with the idea that bringing in Hulk Hogan would continue that trend that TNA has set and probably make it a lot worse then it was before. But as I tuned in TNA wrestling on January 4th I have to admit that TNA put together a good three hour show that came off to me as a “reboot” of their entire product. It was a fresher looking product, which all wrestling fans want to see. We want to see something new. I was surprised by the debuts of only Jeff Hardy and Ric Flair as the others that debuted in TNA on Monday Night we already knew were coming. That was the positive of the show, now onto the negative of the show. I’m personally tired of seeing guys like Scott Hall and Sean Waltman get second chances in the wrestling business time and time again simply for the fact that they know the right people. They are friends of Hulk Hogan, Kevin Nash and Eric Bischoff and this is Hall’s third or fourth time with TNA after no showing a PPV. And while I did think seeing a nWo reunion was cool for that particular moment, I don’t want to see it happen every Monday or Thursday (wherever Spike ends up putting Impact on), but it looks like we are getting just that or something similar to that according to the spoilers for the January 14th show. My other problem with the TNA show on Monday night was that it resembled more of a Hulkamania tour reunion show then anything else. I do not want to see The Nasty Boys wrestle, period. The Nasty Boys act hasn’t been big since 1995; some might argue earlier then that. Then TNA is pushing what looks like the start of a Nasty Boys vs. Team 3D feud. I don’t want to see that, no wrestling fan does. I have been a big fan of the Dudley Boyz for a long time and don’t want to see them wrestle a team that doesn’t hold a candle to them. Then there were cameo’s of Van Venis/Sean Morley, Bubba the Love Sponge and soon to be debuts of guys like Orlando Jordan and Mr. Kennedy/Anderson. 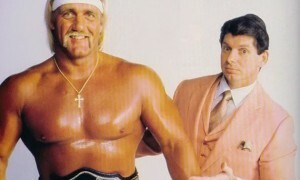 Add Hall, Waltman, Knobbs and Sags and it looks like Hogan wanted to surround TNA with all of his friends. Does that mean in about six months TNA Slammiversary will be headlined by a Brutus “The Barber” Beefcake and Haku match? While it was a good show, it is not something I would watch regularly on Monday nights or Thursday nights because there are only so few many weeks where you can put up with storylines and wrestlers that headlined 10-15 years ago. Wrestling fans need something fresh to see and it’s sad to see that guys like AJ Styles, Samoa Joe, Christopher Daniels, Hernandez, Homicide and Matt Morgan may get lost in the shuffle like so many other wrestlers did back in WCW. Congrats TNA on a good show on Monday night, but is it something you want to build a foundation off of? Time will tell if this TNA, WCW 2.0 or the Hulkamania Tour continued. Good luck to TNA.